There’s something new in my craft room! To celebrate what might be the best made-up day in the world, I have made an exciting addition to my craft room. Can you guess what it is? This item is so incredibly techie and cool. It is a staple in many scrabooker’s craft rooms, except mine (until now). It makes my crafting a thousand times easier and will really allow me to do SO MUCH MORE! Yes, that’s right! 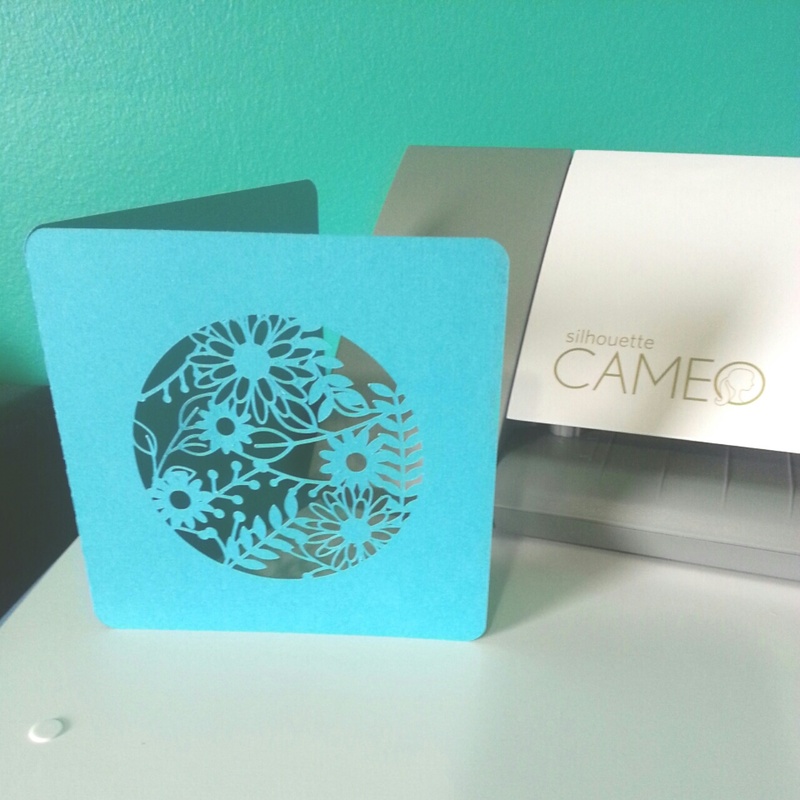 I treated myself to a Silhouette Cameo in honour of National Scrapbook day! I know the point of the day is not to go out and buy yourself something, but I have been thinking about it for quite some time now, and I am so excited to welcome it into my craft room. I can’t wait to start using it for my page layouts and the many other crafty projects I am planning for this summer. For those of you who may not be familiar with this product, it is essentially a super smart pair of scissors. You hook it up to your computer, make a couple designs and bam-o! This cuts it out! In the past, I have traced and cut my own letters, embellishments and patterns for my pages. Because of all that practice over the years, I am pretty sure I have one of the steadiest scissor cutting hands (in the world). I figured it was time to move away from spending all my time on the technical side of things and really start focusing my energy on the more creative side of scrapping. Is that so super awesome or what? I can’t wait to try some new things with my new bff and share with you on the blog. Scrapbook & Cards Today is hosting a whole day of tips, inspiration and prizes. Check it out on their blog here or their Facebook page here. Ali Edwards has been posting some giveaways from her sponsors on her blog here and on her Facebook page here. Kerri Bradford is celebrating by participating in Big Picture Classes 10,000 Instagram Pages. Read more on her blog here. Rukristin is hosting a sale on her products for #NSD2014, which you can access here. There’s tons going on today, and I hope those are a good starting point. I will keep you updated with more super awesome crafts as I get to know my Cameo better. 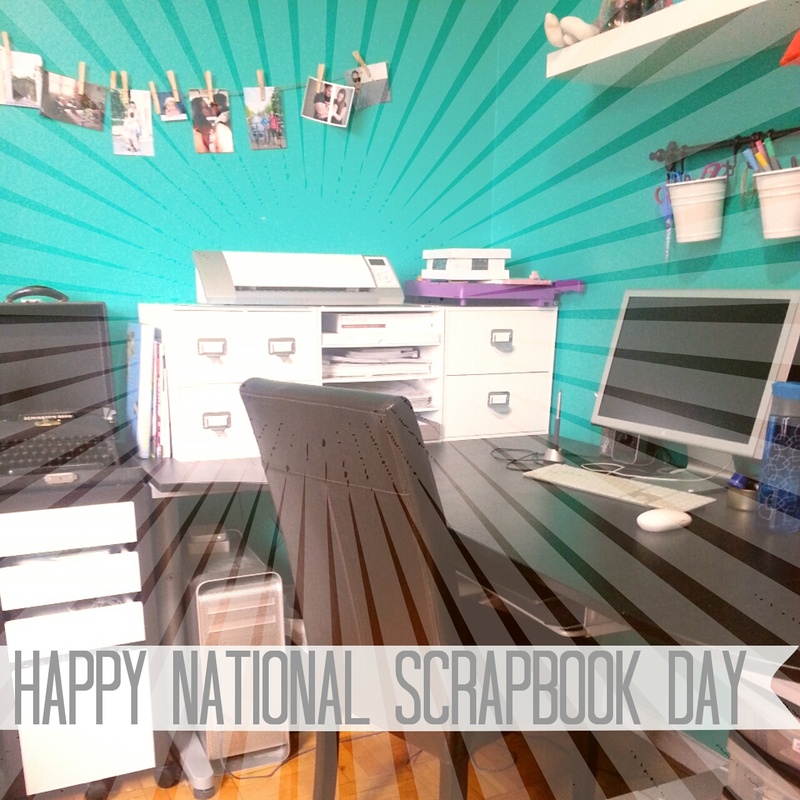 But for now, Happy National Scrapbook Day!